If you've shelled out the bucks for an expensive and feature-rich Samsung phone, you're certainly missing out on some important updates and features if you don't have Samsung Kies installed. With Kies, you can keep your mobile phone connected to your home PC at all times via WiFi. You can keep all of your important content, contacts and messages in sync with your Windows PC. With that in mind, it can also save you in mobile billing charges by performing software updates and firmware upgrades to your phone when you're at home and via Kies. Samsung's Kies application will also keep your Samsung Galaxy II/Galaxy/Galaxy S/Galaxy SIII phone synced with your Microsoft Outlook accounts, you Google profile(s) and even now supports Yahoo! accounts with the addition of yMail and Yahoo! Messenger. Though Kies isn't currently compatible with all Samsung Devices, it is certainly a must-have for your Galaxy S II or your Galaxy Tab devices. All of these products are currently available in Canada and the U.S. from Telus Mobility, Bell Mobility and Rogers Wireless. System requirements for running Samsung Kies are not too stringest. You're just required to have a modern and updated version of Windows XP/Vista/7 and some free memory. So if you own any of the cell phones or tabs mentioned above, definitely install Kies. This is the latest version. 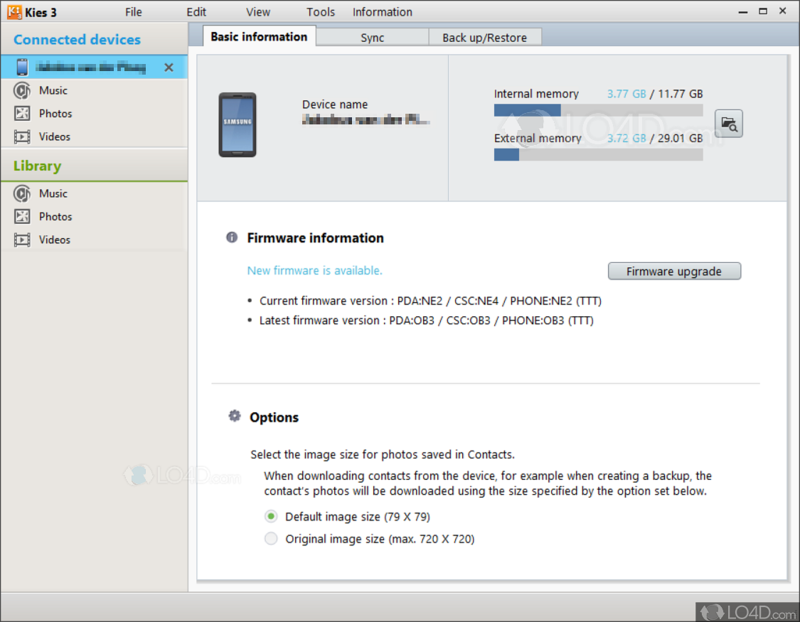 Samsung Kies can update phone firmware, manage contacts, transfer files between phone and PC, synchronize phone data and backup phone data. Synchronizes with Outlook, Google or Yahoo! Samsung Kies is licensed as freeware for the Windows (32-bit and 64-bit) operating system / platform from mobile phone tools without restrictions. 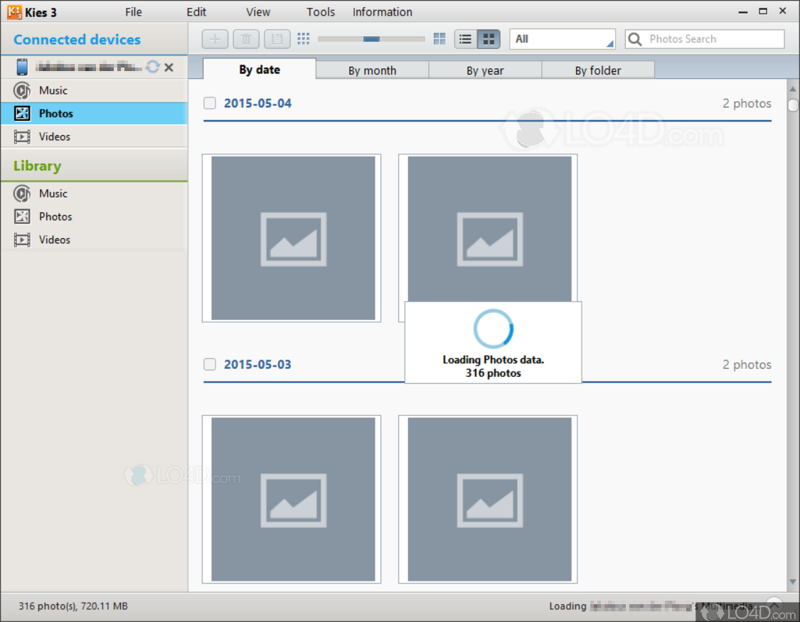 Samsung Kies 3.2.16084_2 is available to all software users as a free download (Freeware). Compatibility with this Samsung apps management software may vary, but will generally run fine under Microsoft Windows 10, 8, 8.1, 7, Vista and XP on either a 32-bit or 64-bit setup. 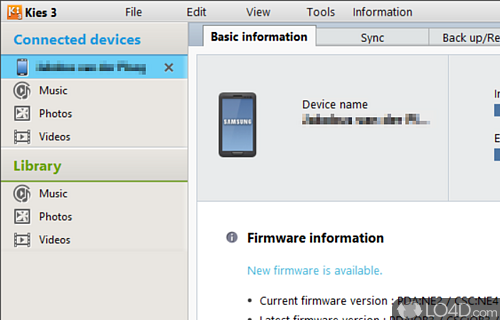 A separate x64 version of Samsung Kies may be available from Samsung. This download was signed by Samsung Electronics Co., Ltd. and distributed as Kies3Setup.exe. We have tested Samsung Kies 3.2.16084_2 against malware with several different programs. We certify that this program is clean of viruses, malware and trojans. 3.7 out of 5 based on 204 ratings.